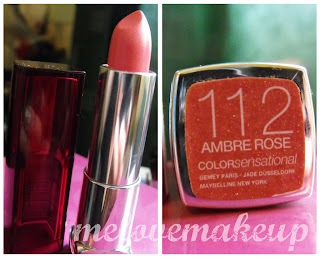 Sophsterlicious • UK Blog: Maybelline - Ambre Rose. This is an easy to wear colour that you can just throw in your purse and apply on the go :) Mine cost around £6.00 from Superdrug.. Yeh baby! It looks so pretty every time I see it. Maybe I should actually use mine? This looks gorgeous on you, love the colour! May have to pick this up for myself! I've been meaning to buy this, it's just so pretty.